One of my traits that I am proud of is that I am very loyal. I remember good deeds and I like keeping my circle small so that I can be loyal to the ones close to me. That applies in real life as well as my blogging life. BDJ or Belle De Jour was one of the brands that believed in me when I was starting. At that time, receiving a sponsored product was so seldom! But BDJ was one of the very first brands that sponsored me. I have been a Bella for more than 3 years now! (Going 4 soon.) WOW! Because of that, I always remain loyal to BDJ. If I am available, I always make it a point to attend their events and join their promos. However, I am also loyal to you, my readers. I remember telling you that I will only promote brands and products I truly believe in. That still remains my standard in promoting and endorsing. The reason why BDJ never gets off my promotion list is because it really is worth all the hype and promotion! Because of that, I am so happy to tell you guys that I am now part of the BDJ MVP! Yay! What is it, though? Being part of the BDJ Community (Subscribing to the BDJ Box, Purchasing BDJ Planners, Attending BDJ events, etc.) means becoming a Bella. There are different stages of being a Bella : Bench Warmer, Cheer Leader, Captain and MVP. Being an MVP means being active in the community. It is the highest rank a Bella could ever be! It also means getting perks from BDJ! Yay! 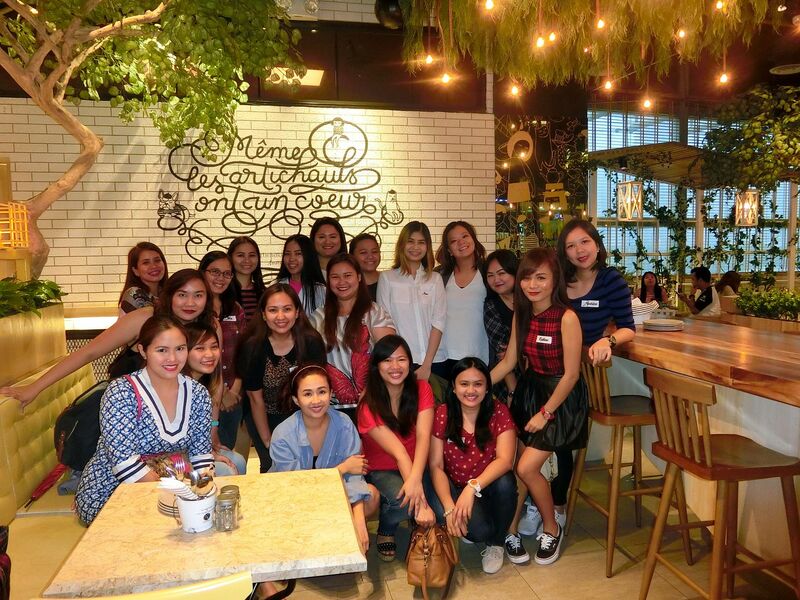 BDJ organized the first-ever BDJ MVP Meet up today, February 6, 2016 at the Century City Mall in Makati. It was a relaxed day, dresses and high-heels off, where the MVP Bellas just got to bond, enjoy great company, play some fun games and munch on yummy food! Since it was just a relaxed day I came in comfy clothes and in my current favorite Vans sneakers! Good thing I came in comfy outfit because we played a game that required running and hushing! 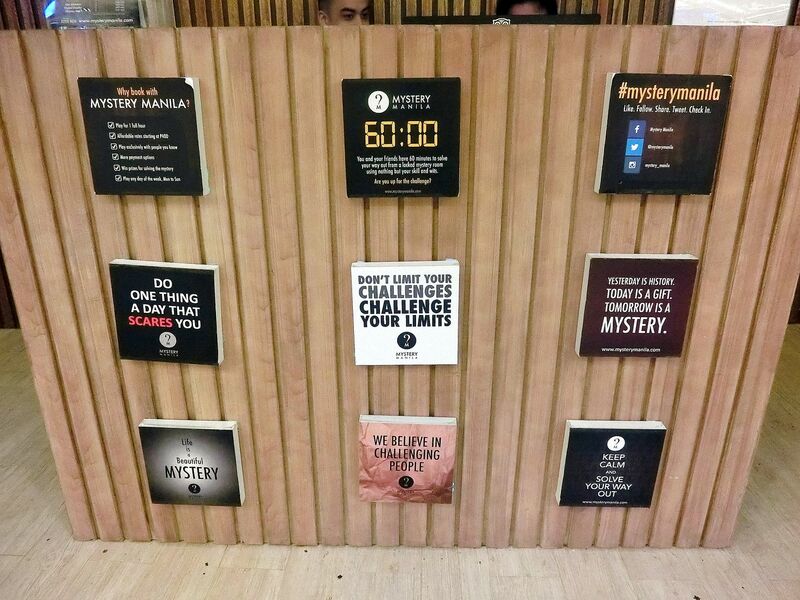 We went to the Mystery Manila inside the Century City Mall. It's a live escape game where a group must find clues, solve puzzles and riddles in order to make it out "alive" after a certain time! It was so fun and I was so excited because I have been wanting to try a game like this ever since I heard of it. 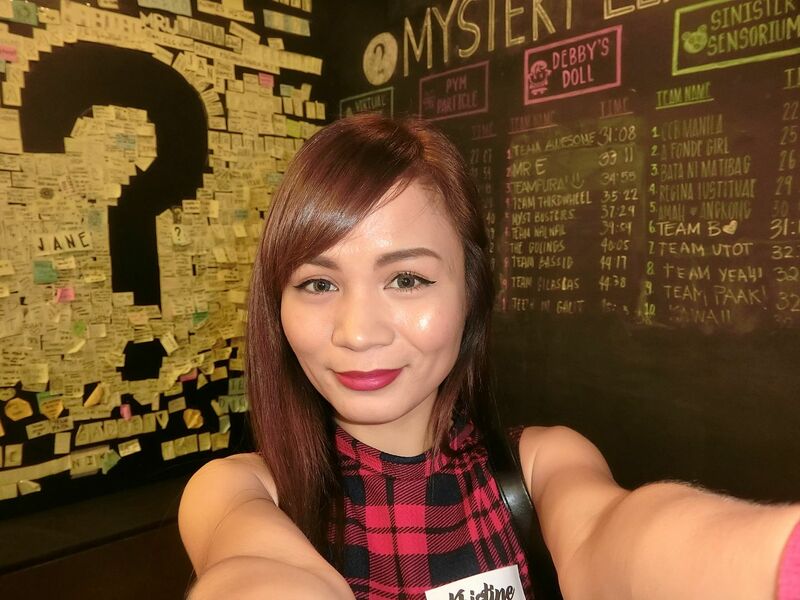 Mystery Manila has different branches and each branch has different games. 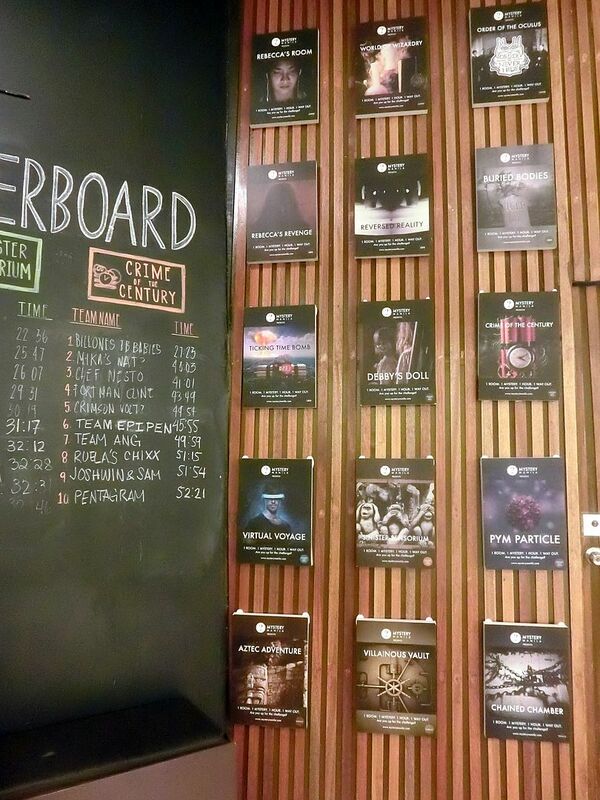 The one at Century City Mall has : Virtual Voyage, Pym Particle, Debby's Doll, Sinister Sensorium and Crime of the Century. It costs Php 550 if there are only 2 players but it gets cheaper as more players join. If there are 5 to 6 people playing, one head would only cost Php 400. 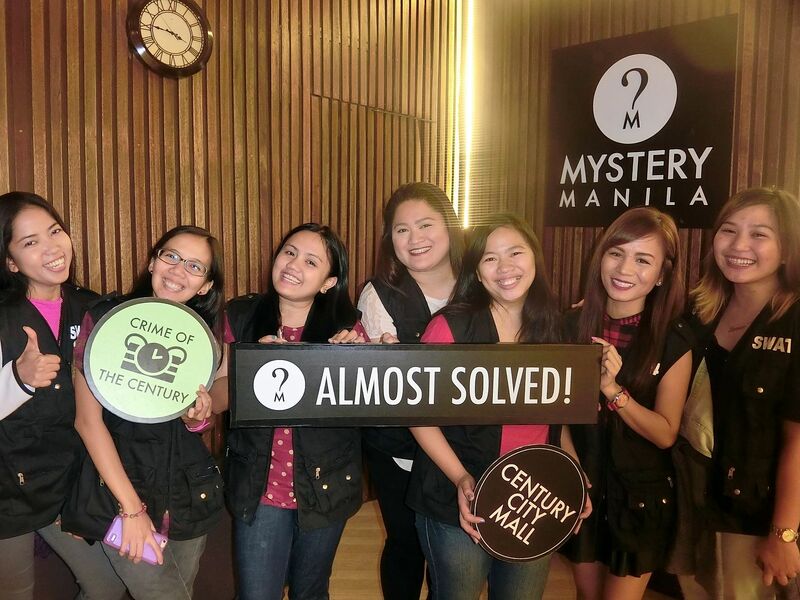 All games are to be played inside the Mystery Manila room except for the Crime of the Century. It's a game that requires team effort, mental skills, problem solving, logic and good stamina! The players would go around the mall to look for clues. It's nerve-wracking because you are pressured to be able to decode the bomb in just 90 minutes! We weren't allowed to bring any stuff with us so I was not able to take pictures while we were doing the challenge. But it was so fun because we were given a SWAT jacket to wear while we did the game. We went around the mall to search for clues. It was a team effort. However, since we were 7 in the group, it was kind of chaotic since everyone had opinions. For this game, I suggest having just 4-5 members. After about an hour, we answered all the riddles and questions and was finally able to enter the room where the bomb was. 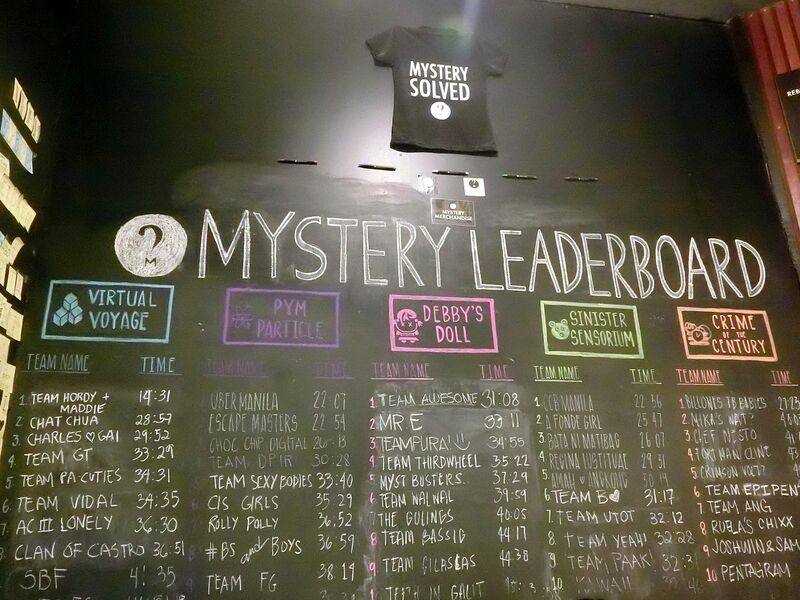 We spent a few minutes trying to solve the last clue, which was quite difficult. We ALMOST got the correct answer but we just failed to get the correct order. So, the bomb exploded! Sigh! But it was fun! Definitely a bonding activity that is out of the box! My team mates and fellow BDJ MVP Bellas. 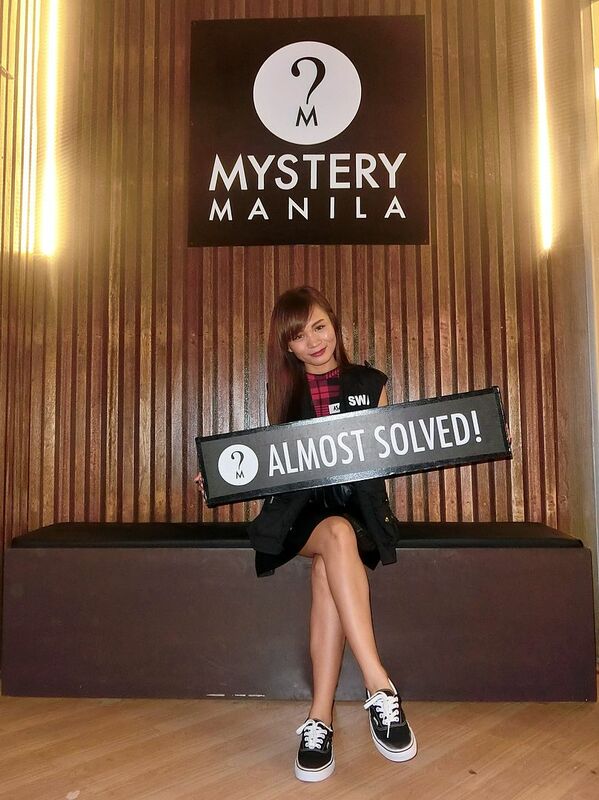 Kate was also there but she played with another team inside the Mystery Manila room. 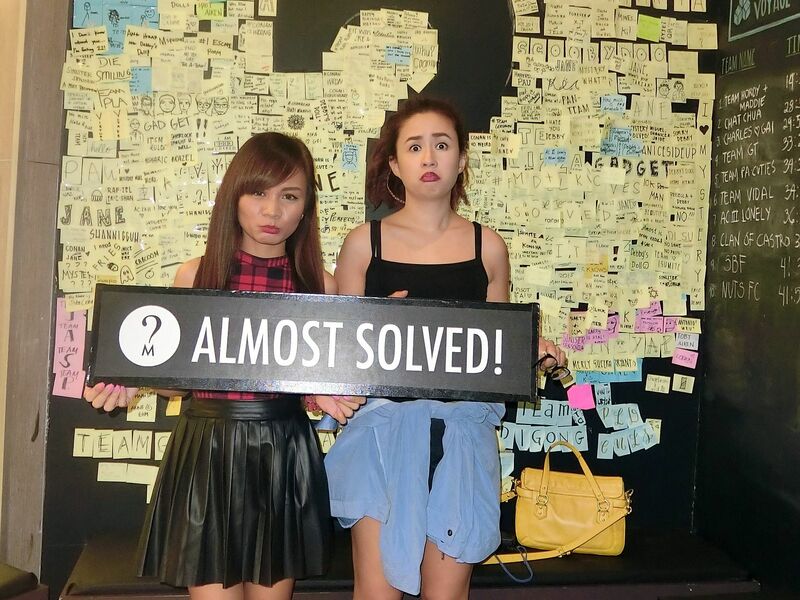 It's too bad because her team also Almost Solved the mystery! 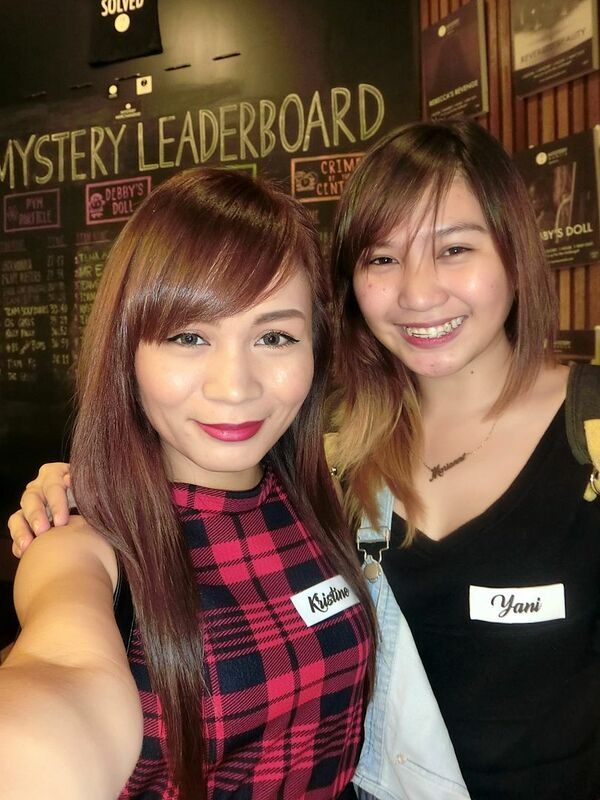 Photo with my team mate, Yani. She is from BDJ. 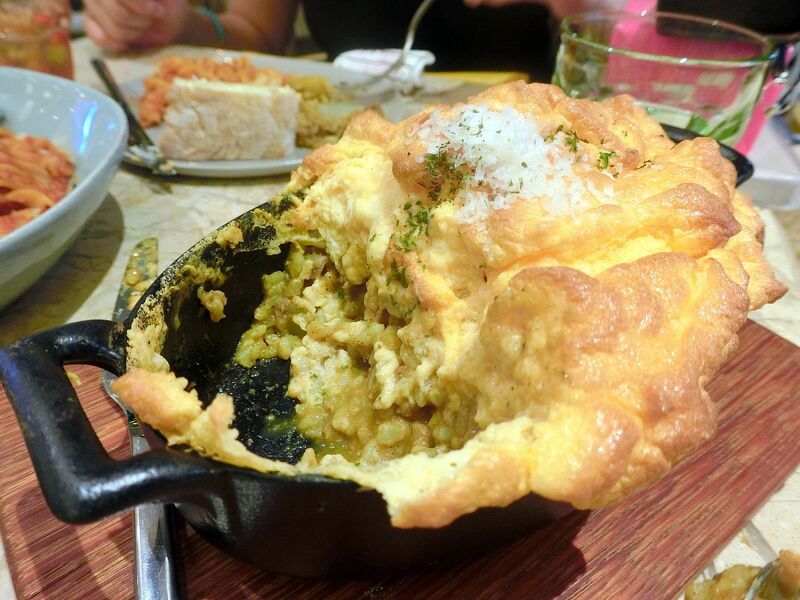 After the game, we went to Le Petit Souffle just a few steps away from the Mystery Manila. I failed to take a photo of the place but it looked so artsy! The restaurant is so picturesque! 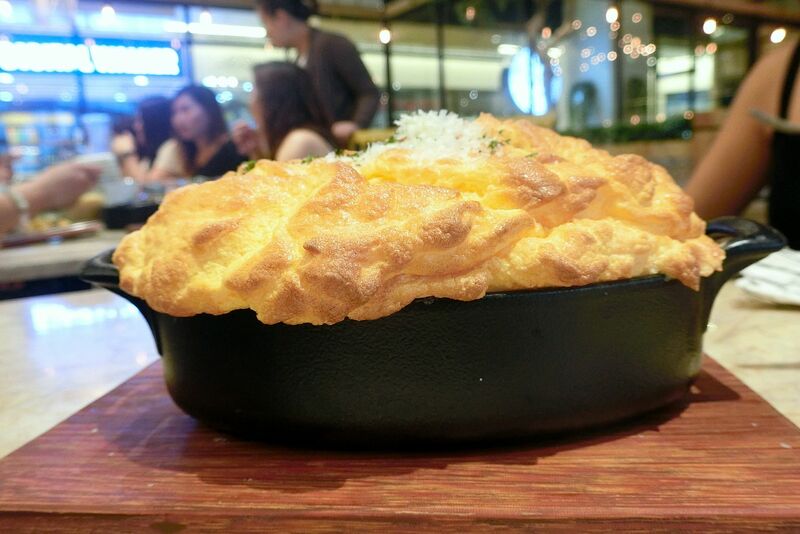 They serve fusion of French and Japanese cuisine. Because everyone was busy talking about the games, even I failed to do my blogger duties. I also forgot to ask the names of the food. I was only able to take few food photos. But we had a feast and everything was delicious! 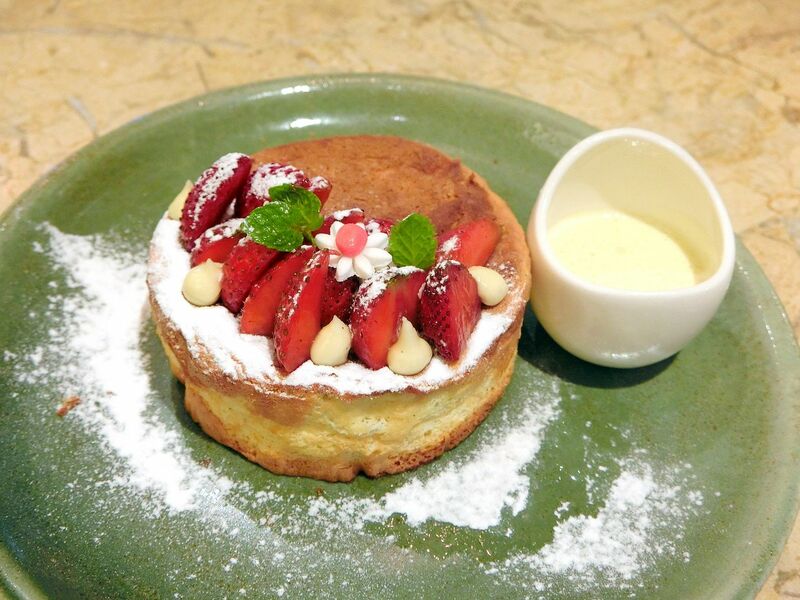 The strawberry dessert was also so good! Though, I have to complain that the strawberries they use is sour and small. I would have appreciated it more if the strawberries were bigger, softer and sweeter. Before leaving the restaurant, we made sure we took a group photo. 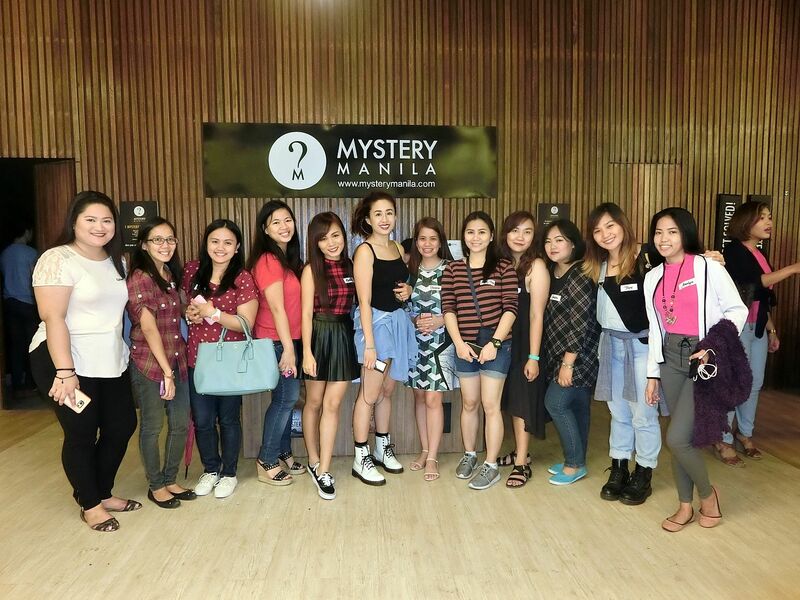 It was a fun day with the Bellas and definitely a fun experience at the Mystery Manila! I am looking forward to more BDJ MVP Bella Meet up! Thank you for reading! It's almost 2:00 AM. It's probably time to sleep now. Good night, my loves!